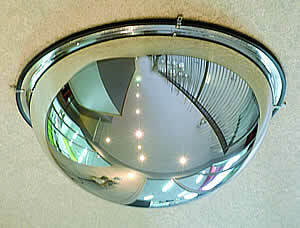 All of these mirrors come complete with both wall mount brackets and post mount brackets to suit a 60mm diameter post. Additional 60mm wall mount brackets are available if required. 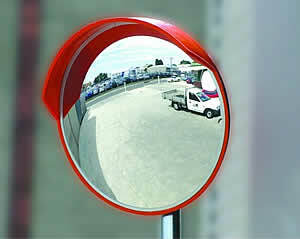 All of these mirrors come complete with both wall mount brackets and post mount brackets to suit a 60mm diameter post. Additional 60mm wall mount brackets are available if required. Unbreakable Polycarbonate Face. Fully Adjustable to any angle. Extends field of view over a broad area. Supplied with Wall & Post Mount Brackets. Suits 60mm Diameter Posts. Lightweight & simple mounting. 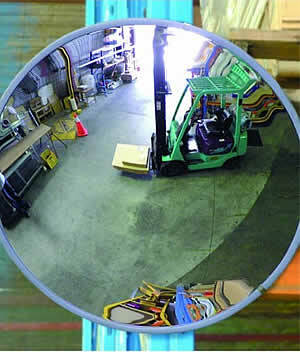 Full, Half or Corner Domes for any situation.